Giving a nod to the good Lord isn’t that uncommon among farmers, considering how tightly their livelihood is bound up in the rain and soil and sun. It’s more rare when the Almighty waves back, however, as he did when Tim and Robin Ralston and family began sowing exotic red and purple aromatic rice varieties to serve niche markets. 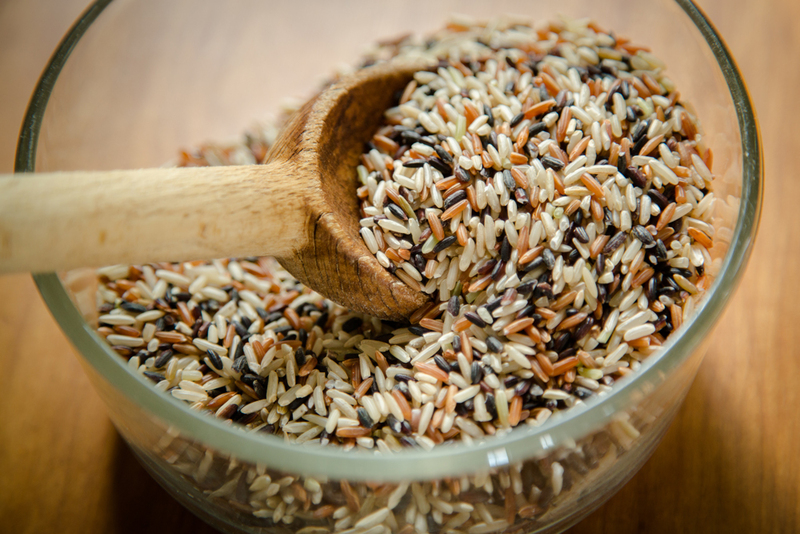 Nature’s Blend is a cross-pollinated blend of exotic and traditional rice. There was only a 3 percent chance of this rice cross-pollinating, as rice is self-pollinating. One year, some of the exotics cross-pollinated with some volunteer traditional rice in the field. 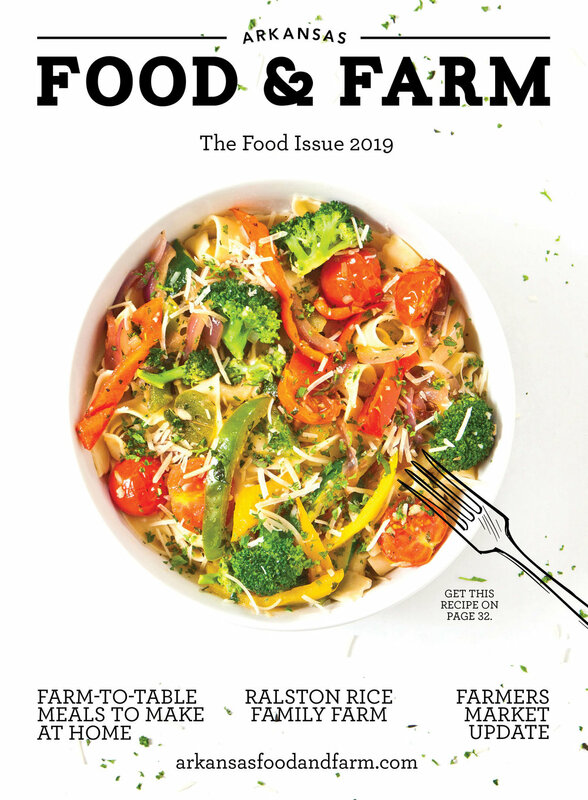 The result was a crop that grows a confetti of flavors, colors and textures that Ralston Family Farms markets as Nature’s Blend, although internally they have another name for it. It took a moment for the Ralstons to recognize the blessing that they’d been sent. Not really knowing what they had, they gave samples to Arkansas television personality P. Allen Smith and several chefs to get their opinion. 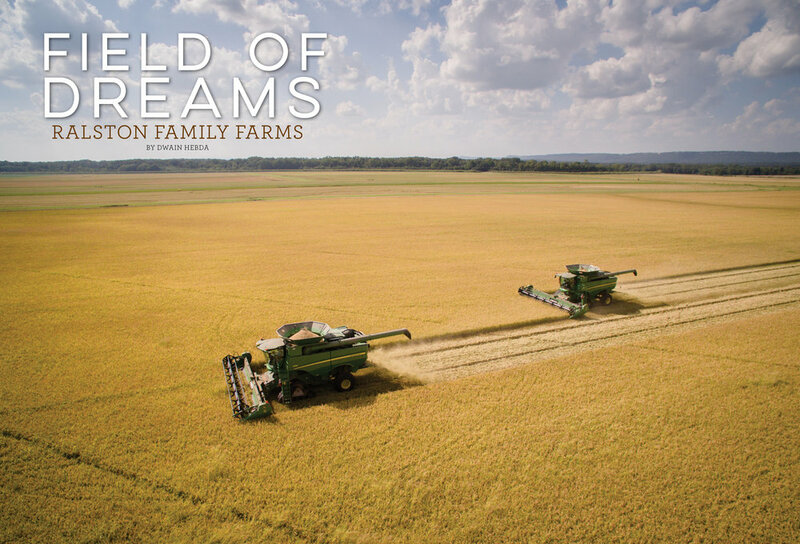 Ralston Family Farms already had a thriving traditional rice operation going when it decided to become one of the few domestic growers of specialty rice varieties. As such, it’s landed accounts with retail, institutional, independent retailers and high-end grocery store clients. The farm also supplies rice to mail-order meal company Blue Apron, which was as captivated by the Ralstons’ field-to-fork operational practices—including conservation-forward no-till, zero-grade and surface watering techniques—as it was by the end product. Getting to this point took more than just planting unfamiliar rice varieties. It also took a carefully orchestrated business plan to produce rice in marketable quantities. Tim said there are good reasons why typical rice farmers stay away from nontraditional varieties. Another major challenge is processing—or milling —the harvest as the vast majority of rice mills in the United States are owned by corporations that share the same mentality of efficiency through homogeneity. This meant growers have virtually no cost-efficient way to process nontraditional varieties short of the audacious step of building their own mill. Which, incidentally, is exactly what the Ralstons did. Left to right: Tim Ralston, Robin Ralston, Willie Bruehwiler, Jennifer Bruehwiler, Hadley Ralston, Ashley Ennis, Jamie Ennis, Matthew Ralston (in back), Brittani Ralston. Will Bruehwiler and Ruby Bruehwiler on tractor. Ralston’s facility, which has been in operation for a little more than a year, looms out of the Pope County landscape beside a phalanx of drying bins. The guts of the mill are a mélange of high-tech wizardry that cleans, inspects, sorts, color-grades and packages the company product, a growing percentage of which is of the exotic variety. Walking through the place at lunchtime-—on a day the sparkling production area was at rest and you can hear a grain of basmati drop—Tim paused and looked around with something approaching awe. It wasn’t that long ago this operation was just a distant point of light, but now it’s here and ready to take the operation to levels previously undreamed-of. Ralston Rice Comes In Convenient, Easy-To-Store And Easy-To-Pour Packaging. Neither Tim nor Robin holds a degree handy to engineering such a facility or the myriad sales and marketing details for bringing their exotic rice to market. Robin likes to joke the former high school sweethearts now have “honorary degrees” in all of the above and are assisted daily by their three children and their families who have all returned to work in the family business. And, she says, there’s something else, too.